You see the style headlines: Baggy is back! Skinny is in! It’s all about the carrot fit! Shopping for new pants can be an overwhelming process. Should you copy the way your boss’s suits fit or take cues from the runway instead? Where exactly is a hem supposed to land? Am I allowed to show a little ankle? 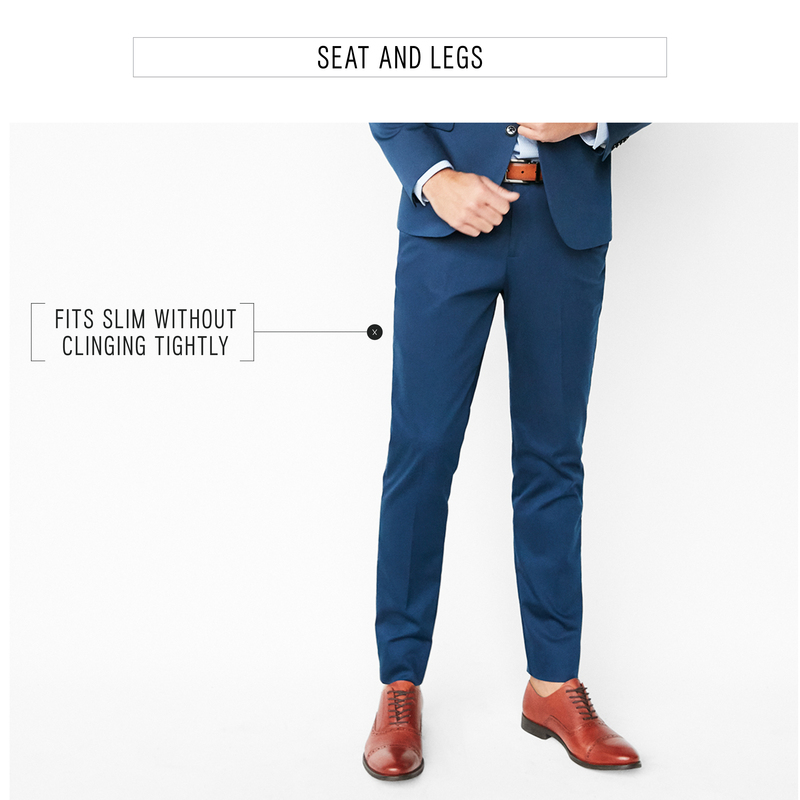 We’re here to help you navigate the trends, rules, and cardinal sins of dress pants, whether you’re wearing a full suit or just separates so you start the new season—and every season thereafter—off on a stylish foot. Literally. Unlike denim, dress pants should sit at your hips or even a touch higher for the most flattering look. Bunched-up zippers are not your friend. And the waist should fit snugly. 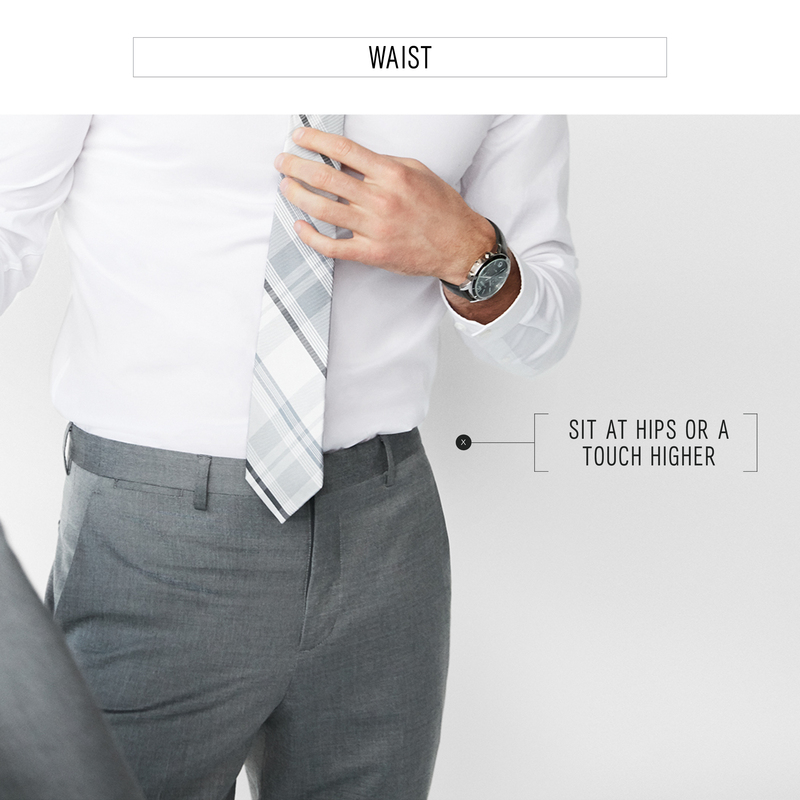 Even if you choose to wear a belt, dress pants should fit perfectly without one. You want your pants to fit slim without clinging too tightly to your quads and . . . well, everything else. If you’re a heavy-set guy, buy the pants that fit your waist and have a tailor take the legs in. If you’re a guy with big thighs, you might just need a little tweak at the calves. The important thing is that you are neither drowning nor suffocating in your pants. Alter as needed. 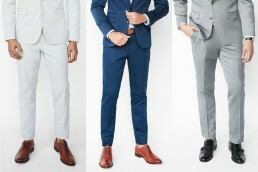 Nothing bricks a killer suit like a pair of too long pants, so make sure yours have little to no “break” at the ankle. 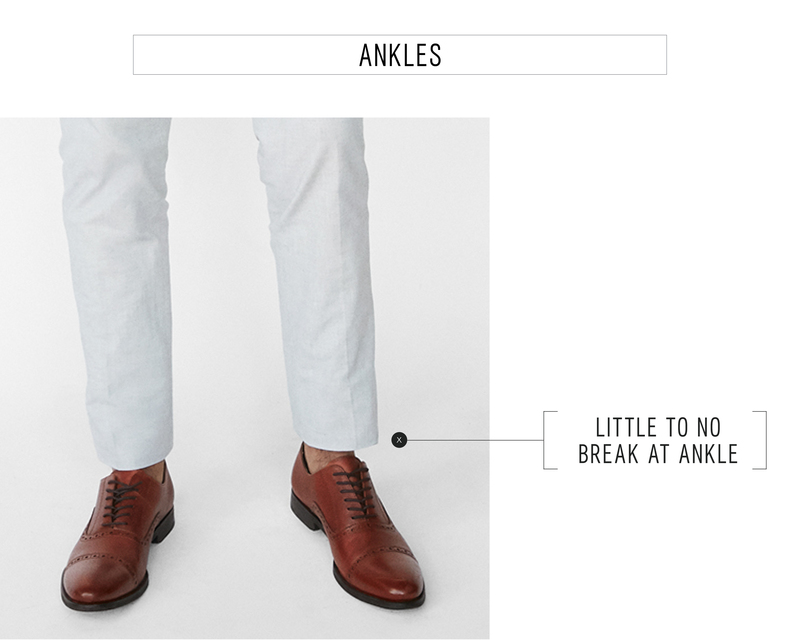 That means the hem should just skim the top of your shoes and show plenty of sock when you’re sitting down. Express pants should get you there without the help of a tailor, but your height and build will affect whether you need alterations, too.